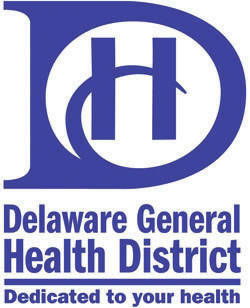 The Delaware General Health District will be fogging for mosquitoes in Trenton and Porter townships today after a mosquito collection trap yielded a positive result for West Nile virus. “Weather permitting, the Health District’s Residential Services Unit will fog in the area north to Condit Road, south to Hartford Road, west to Centerburg Road, and east to Meredith Road,” a DGHD press release states. The exact fogging zone can be found on the district’s mosquito page at www.delawarehealth.org. Residents who don’t want their properties sprayed can request to be placed on the no-fog list by calling the DGHD at 740-368-1700. Any changes or additions to the fogging plans will be announced by the DGHD via its website or through its social media pages (Facebook and Twitter). Additionally, the DGHD advises county residents to keep their properties free of stagnant water, which can collect in flower pots, bird baths, tarps, gutters, etc. As an added precaution, the DGHD recommends residents limit the amount of time spent outdoors in the morning and evening hours when mosquitoes are most active. For those individuals who do spend their mornings and evenings outdoors, the health district recommends wearing light-colored, long-sleeved clothing, while also making sure exposed skin is covered with a mosquito repellent that contains DEET or picaridin. According to the Centers for Disease Control and Prevention, there are no vaccines available to prevent West Nile virus (WNV) or medications available to treat it. “Fortunately, most people infected with WNV do not have symptoms. About one in five people who are infected develop a fever and other symptoms. About one out of 150 infected people develop a serious, sometimes fatal, illness,” the CDC’s website states.